T​he dream of the owners was to realise a project that is sustainable​.​ For them, the prevailing identity of the site lay in its location of the 'Cape floral Kingdom' and that they were committed to be custodians of that land. 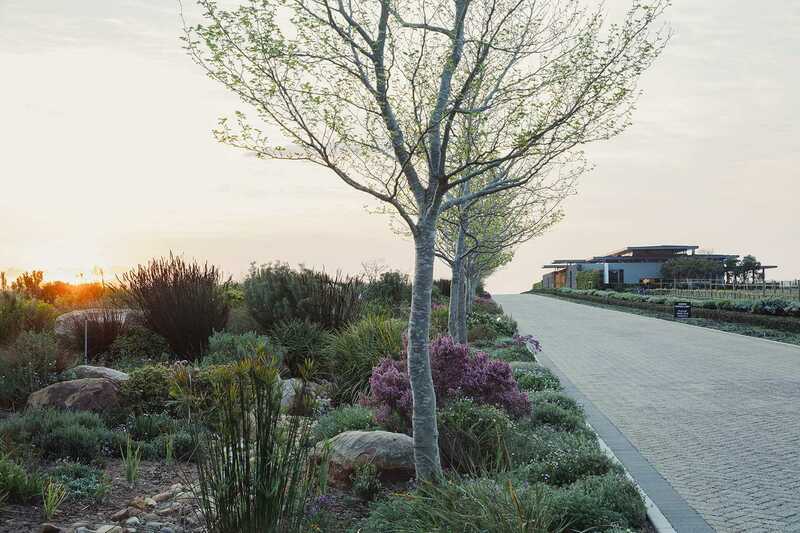 The iconic views of the Helderberg, the indigenous gardens all contribute layers to the concept which was ultimately to pay tribute to the natural beauty that exists in the region. The Building itself designed by Lauren Smith in collaboration with Bouwer architects​ is a passively designed building and the first Green Star rated restaurant and exhibition space in the country achieving a 4 star rating by the GBCSA in 2016. In addition it was awarded the Great Wine Capitals Best of Wine Tourism trophy for Architecture and Landscapes in Bilbao, Spain in 2016. The indigenous landscaping of the estate terminates in an indigenous vertical garden at the entrance to the public building. 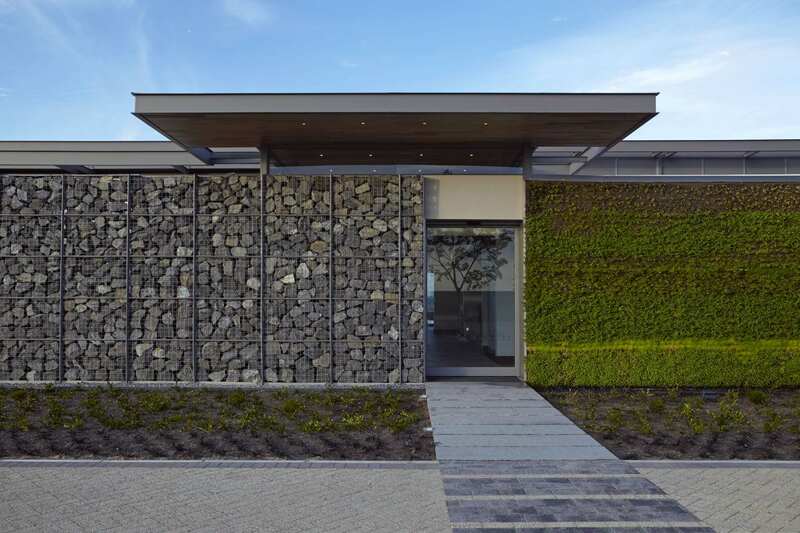 This green wall acts as a living mural, constantly evolving, flanked on each side by gabion walls of locally quarried stone. The concept of 'bringing the outdoors in' continues with the foyer gardens. Natural light permeates the space and panoramic views abound.